Want to help bring healthcare to impoverished nations? Interested in an affordable & hands on medical volunteer abroad program in Nepal? way to gain medical experience while exploring a new country and culture. Are you a medical student, doctor, nurse or other medical professional? Are you looking for opportunities to gain hands on medical experience? Or are you interested in sharing your medical experience with in impoverished communities? Then our Nepal medical camp project is a perfect opportunity for you. Still today, thousands of Nepalese people live in villages around the Kathmandu valley and other parts of Nepal and are struggling to meet the primary needs of day-to-day life. They suffer with numerous health problem and medical issues, but can't afford medical care. This leads to numerous deaths every year that most likely could have been prevented with the proper medical attention. Global Crossroad's medical camp starts on the first and third Monday of each month. However, if you have a small group of more than three volunteers who want to join the program, we can create a customized program to allow your group to start at any date that is more convenient for your group. Important notice: You can join Global Crossroad's International medical camp individually or in a group. We need a minimum of 3 volunteers to run the camp. Therefore, we request that you invite others to make a small group. Or, if this is not possible, please apply at least 2 or 3 months in advance so we can inform you - at least a month in advance - in case we have to cancel the camp setup due to failing to meet the minimum number of volunteers required. 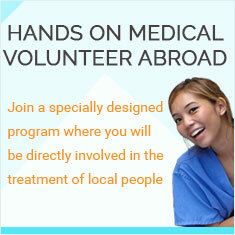 Global Crossroad offers one of the most affordable medical volunteer abroad programs. Our cost is extremely affordable. Global Crossroad's international medical camp offers a hands-on medical volunteer experience to volunteers while running the stand alone camp and covering most of the expenses related to the medical camp such as local doctors, nurses, medicine, water, etc. The Global Crossroad's registration fee is $299. Global Crossroad has been running volunteer programs in Nepal since 2003. We have a very strong team of country coordinators. During your stay in Nepal, the Global Crossroad local team will do their best to help you to enjoy your medical volunteering trip in Nepal. The team will provide you with all sorts of logistical support like transportation to and from the airport and to and from the medical camp. However, the most important point of call and support will be your team leader. By the end of this medical volunteering program in Nepal, you might decide that you want to extend you stay. You can totally do this! You can extend your stay by participating in another volunteering program with Global Crossroad or just venture out and explore on your own. 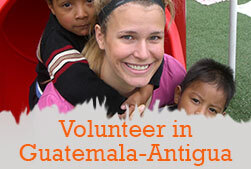 Other volunteering programs range from teaching English to working with orphan children. Let us know what you would like to do; we will be happy to help you make this extension possible!